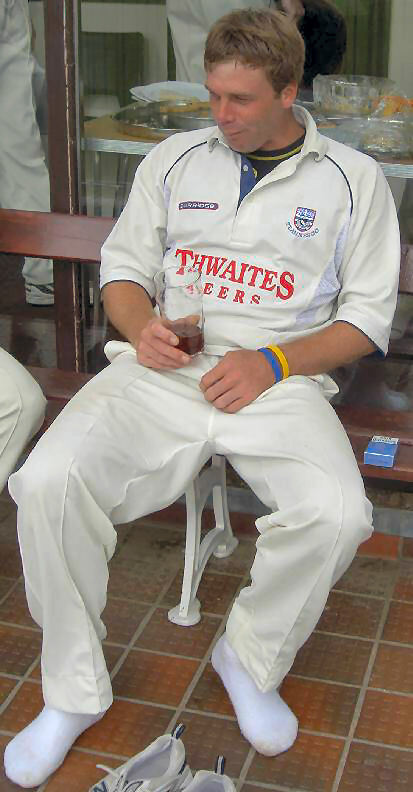 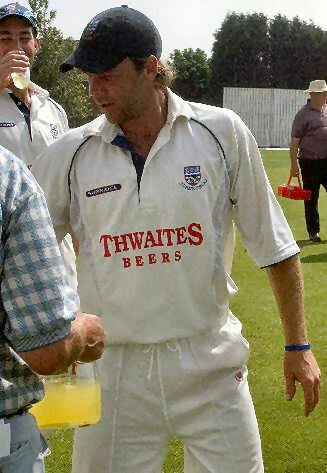 Shane Harwood takes a deserved drink after his devastating spell of bowling. 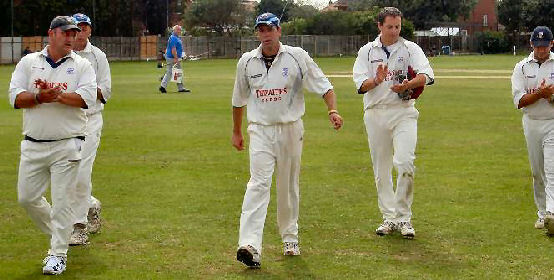 St Annes President Brian Standing making his point. 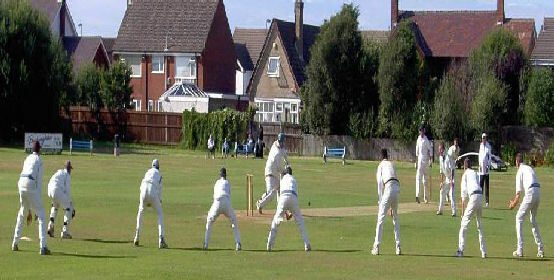 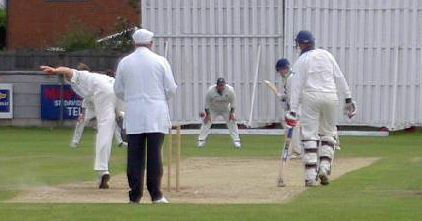 9 Fleetwood fielders surround the bat. 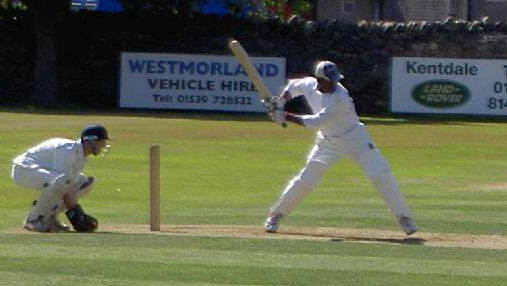 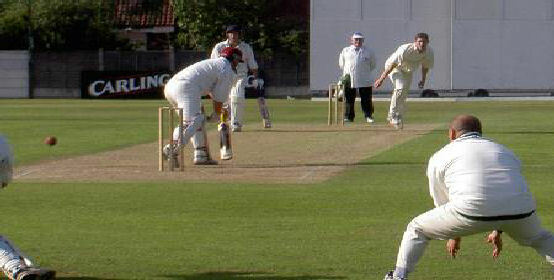 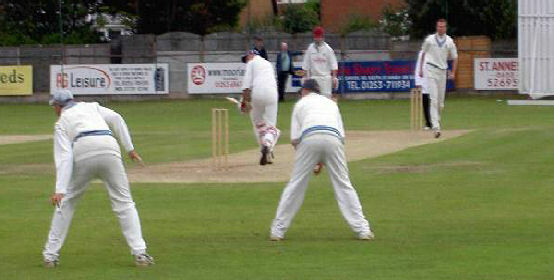 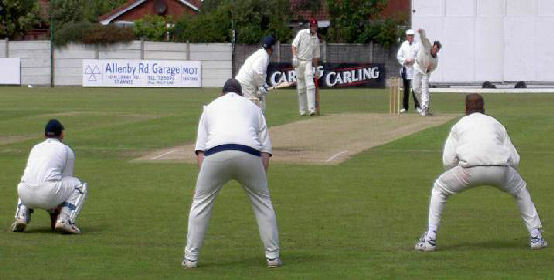 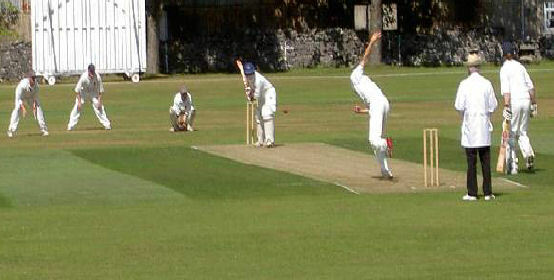 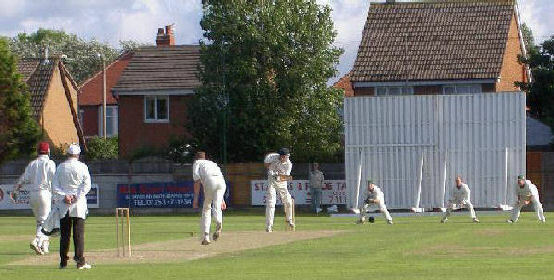 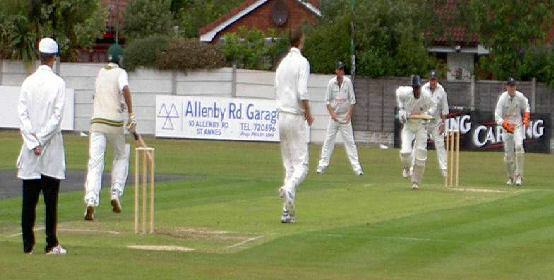 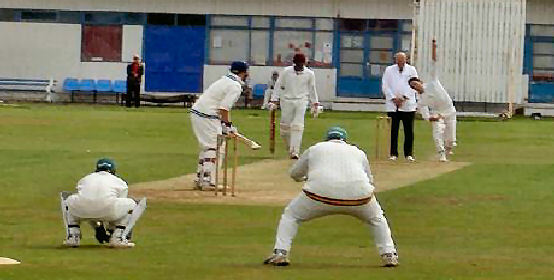 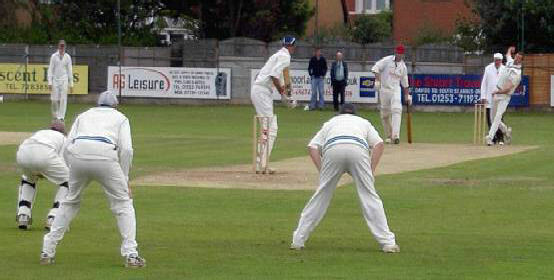 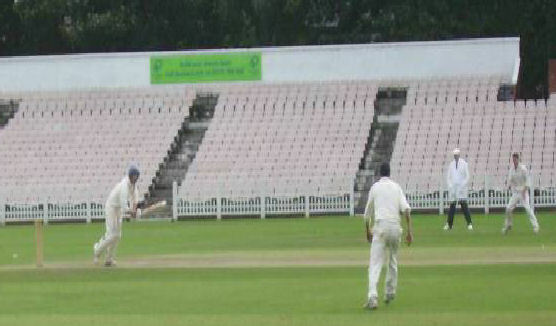 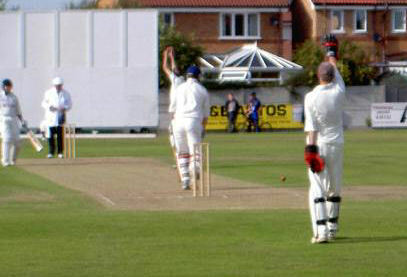 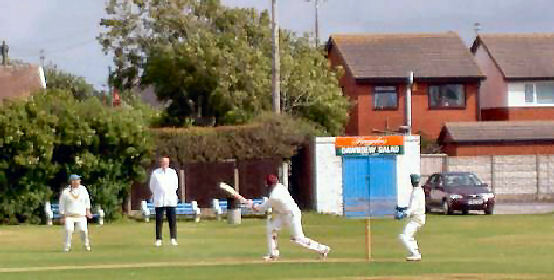 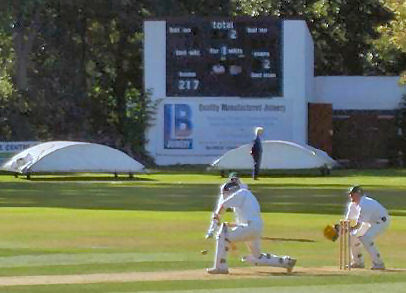 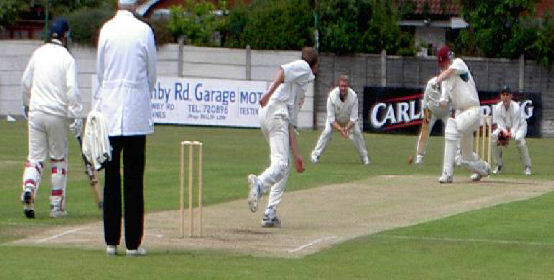 Terry Hunte of Kendal on the attack against the Fleetwood bowling. 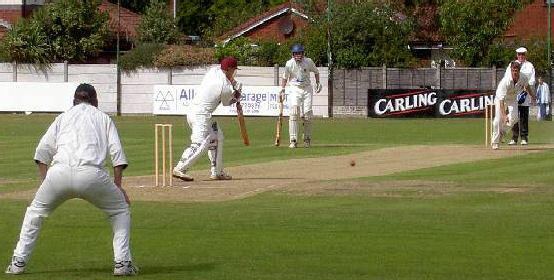 James Ellis make an immaculate forward defensive stroke. 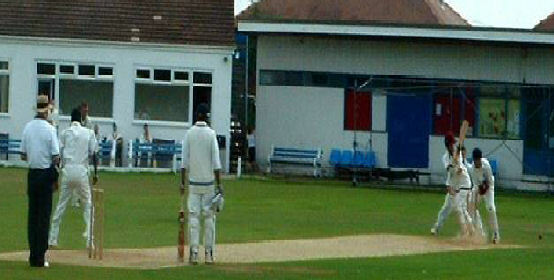 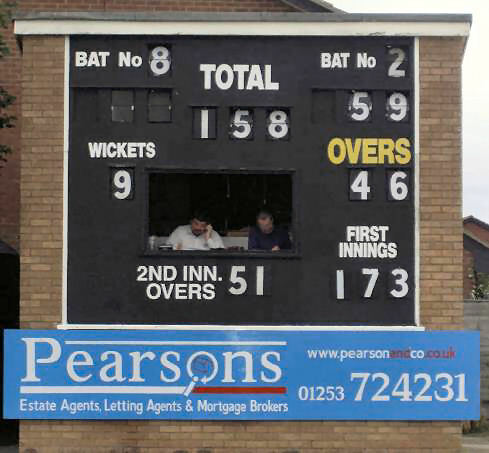 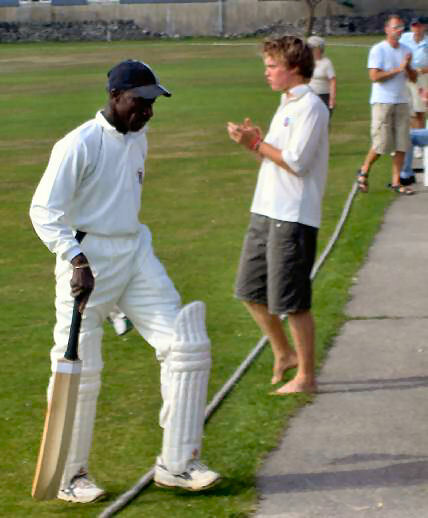 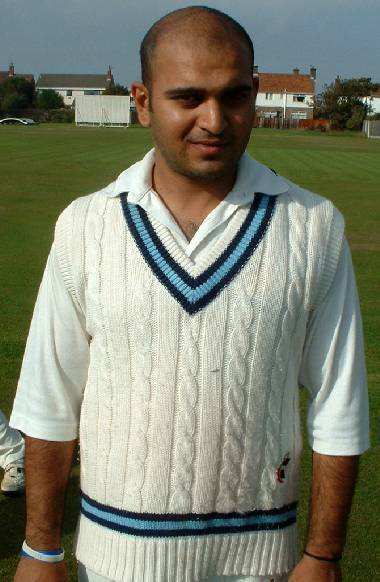 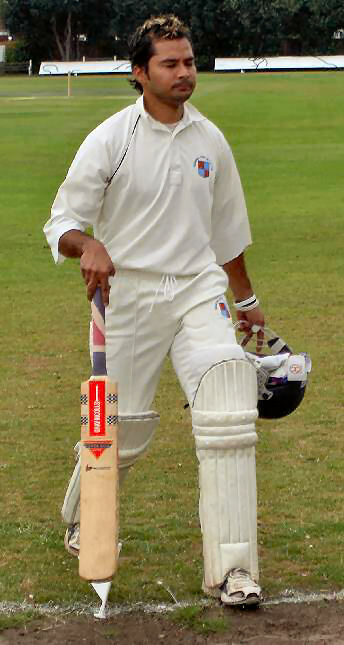 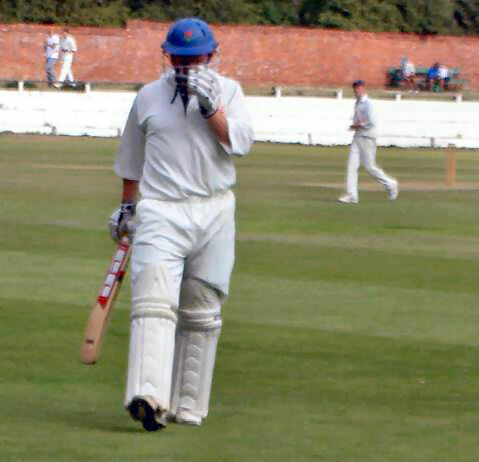 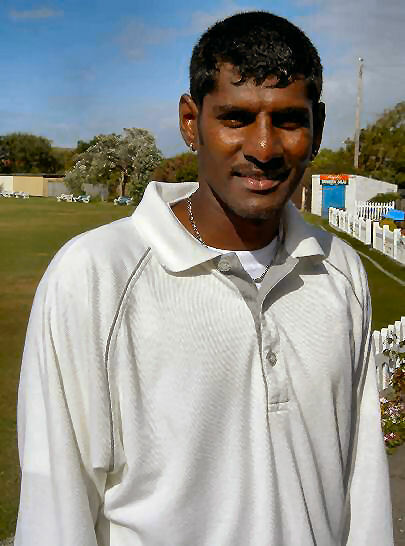 Fleetwood's stand in Professional Mahendra Nagamootoo prepares before going out to field. 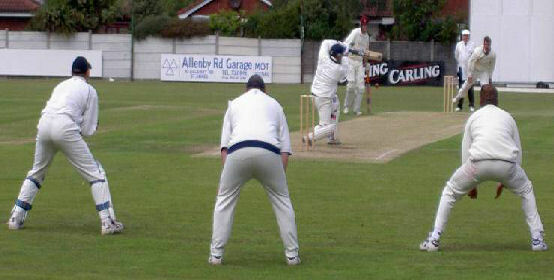 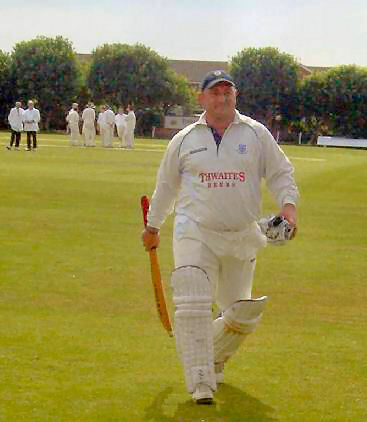 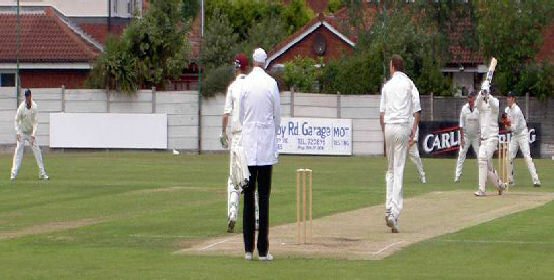 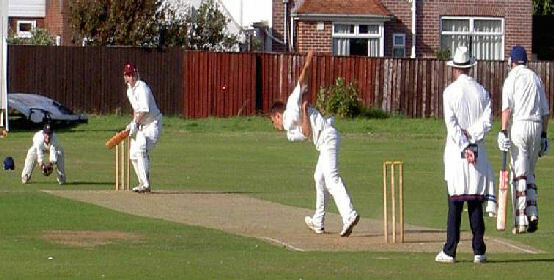 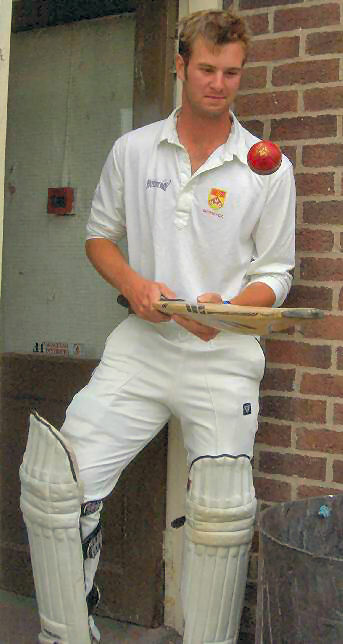 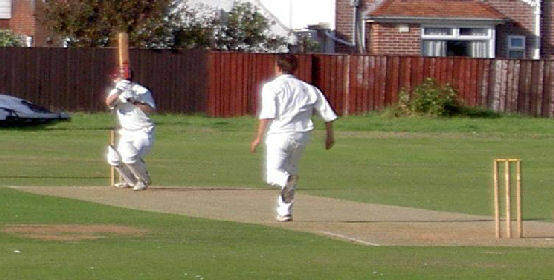 Steve Hill Fleetwood's opening bowler. 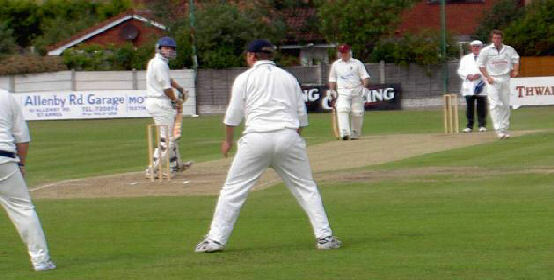 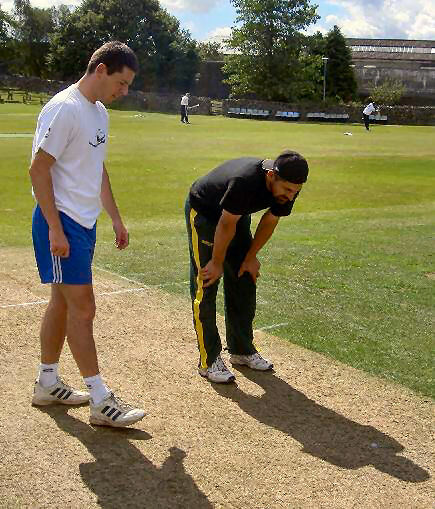 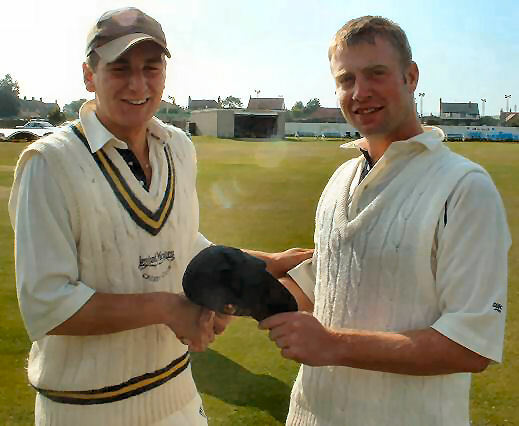 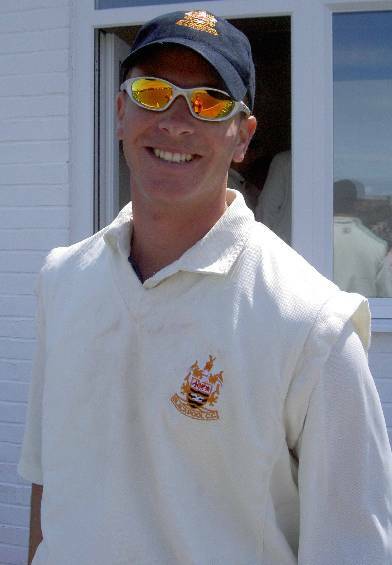 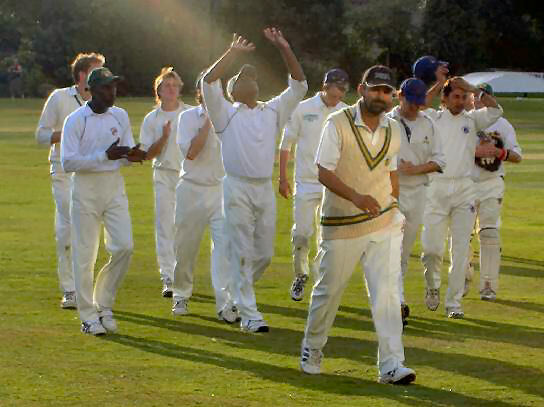 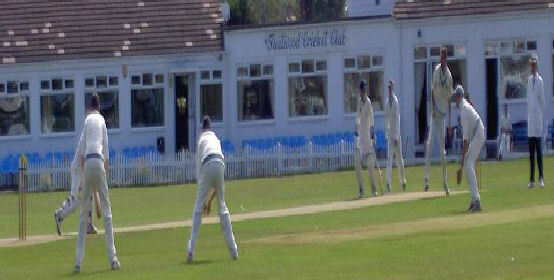 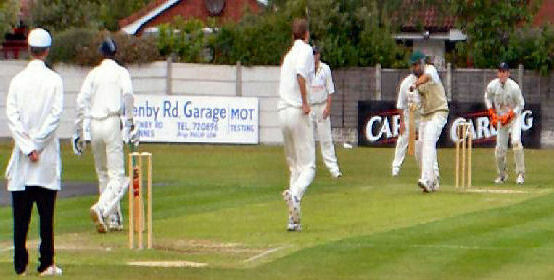 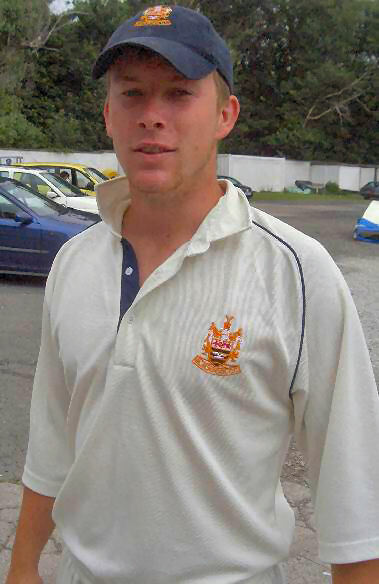 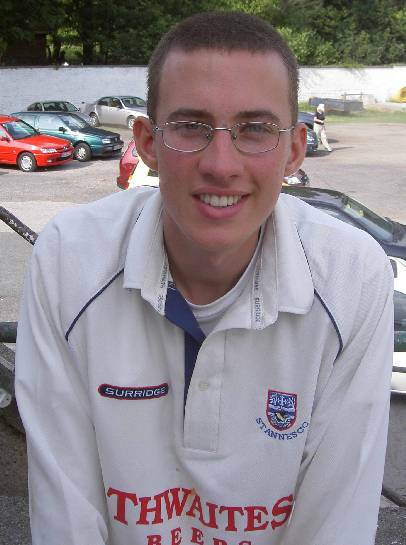 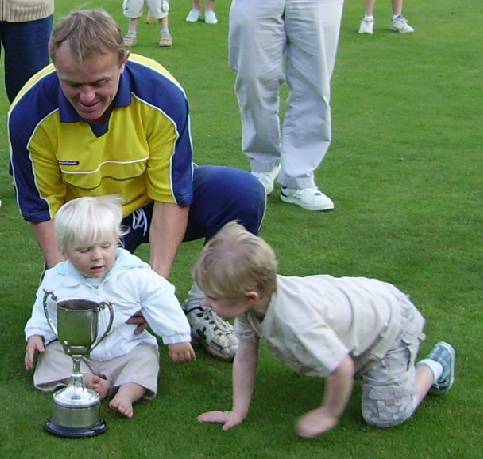 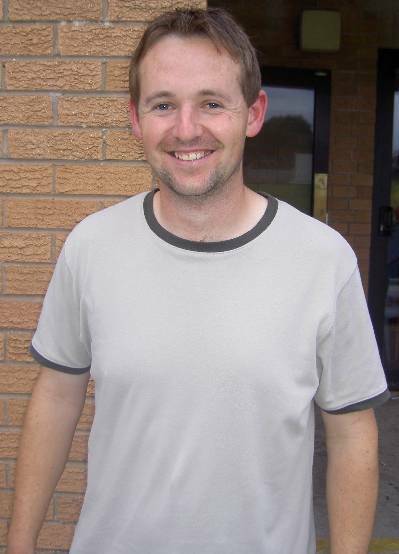 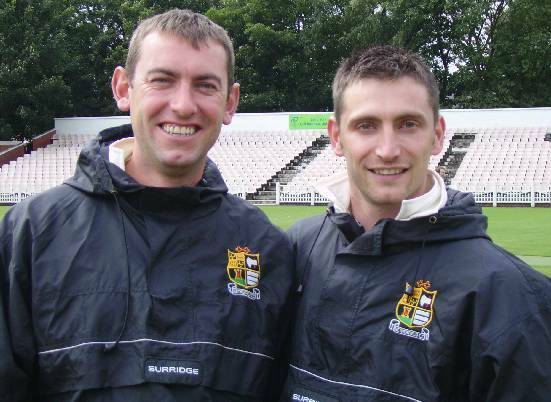 Shane Harwood the St Annes Professional only the second bowler take 100 or more wickets in a season. 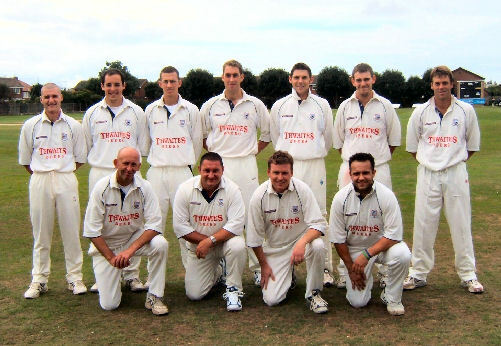 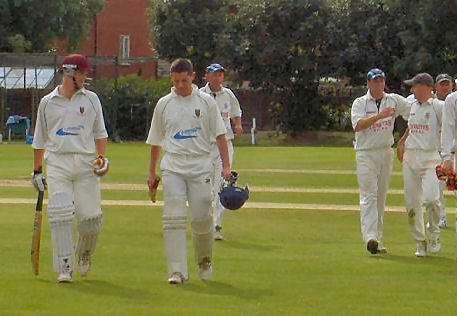 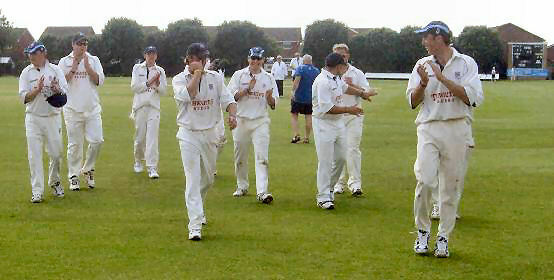 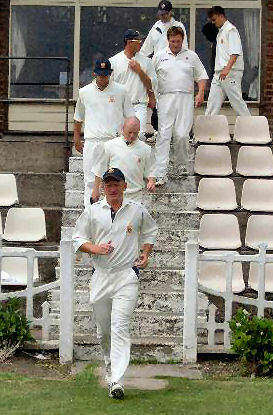 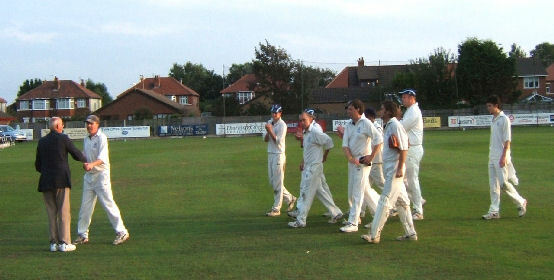 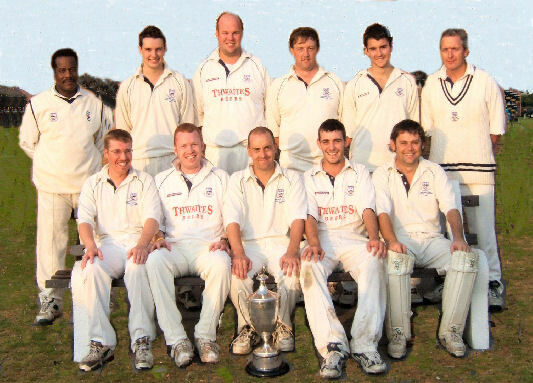 St Annes 1st Team Division 1 Champions. 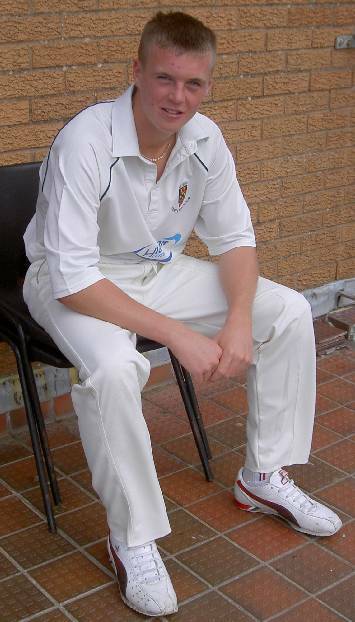 Martin Pickles of Blackpool, was this his last game for Blackpool? 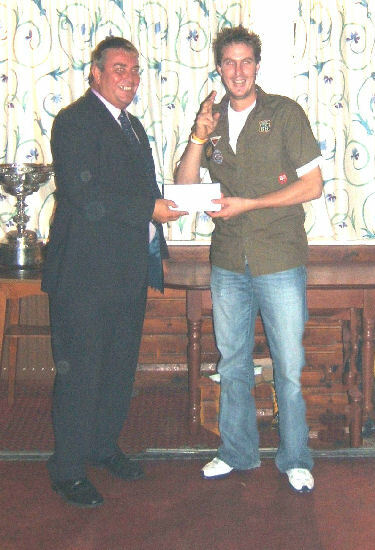 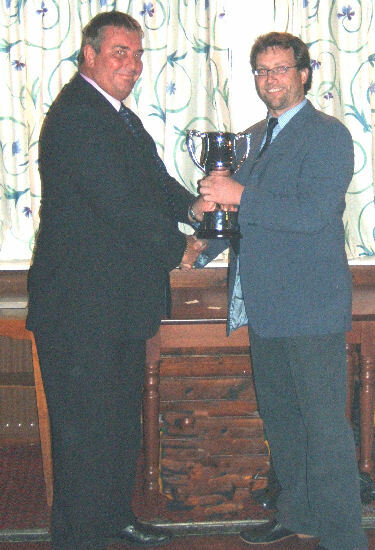 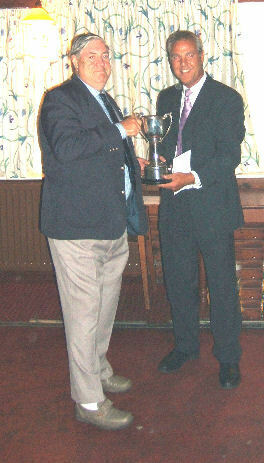 Grahame Clarke of Netherfield receives the !st Division Runners Up Trophy from John Cotton of Thwaites. 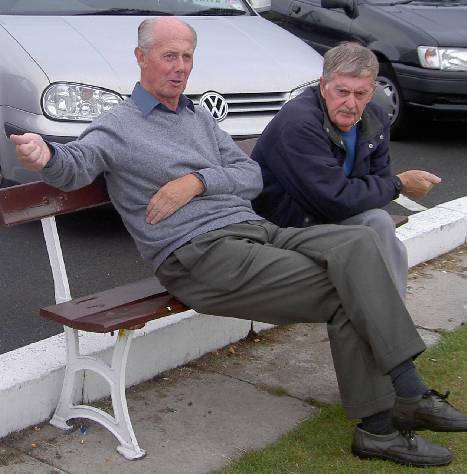 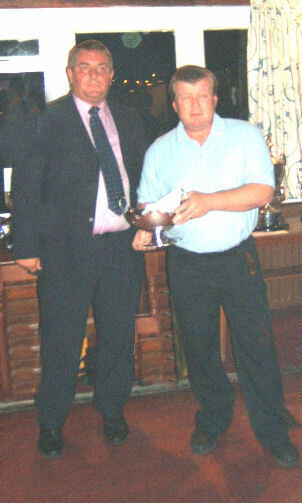 John Cotton and Coiln Bland of Barrow CC winners of the !st Division Fair Play Award. 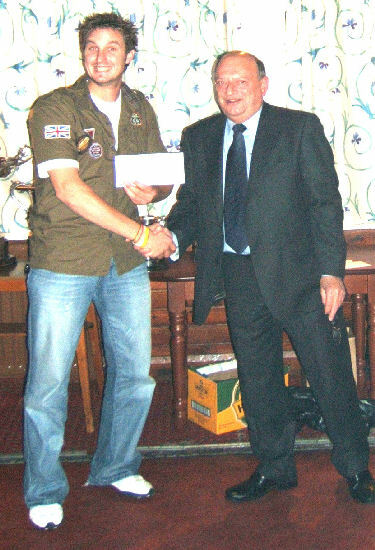 Andrew Dugdale of Kendal looks at the 2nd Division Fair Play Award (Joint winners with Chorley) after the presentation by John Cotton of Thwaites. 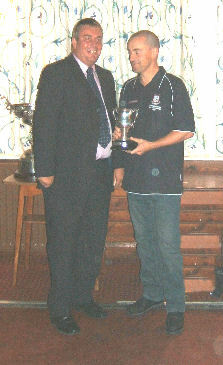 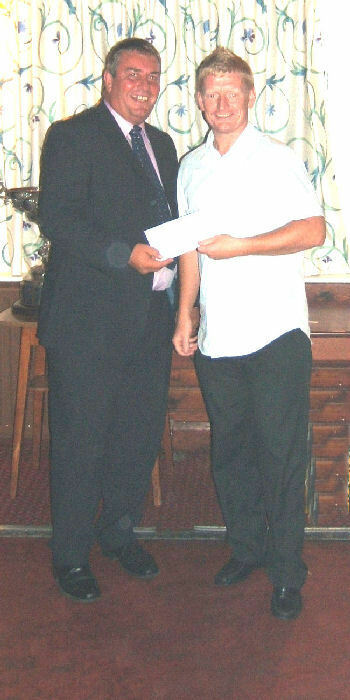 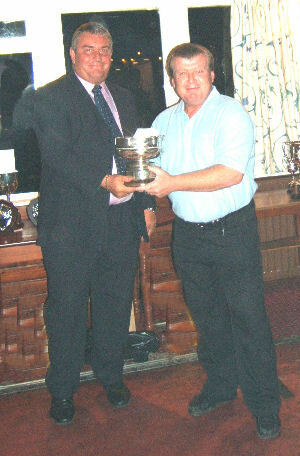 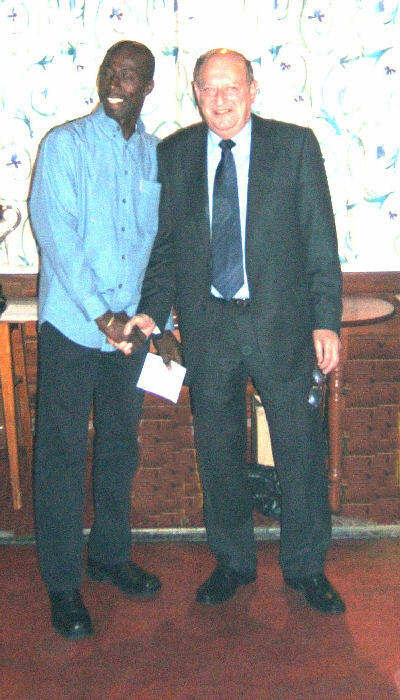 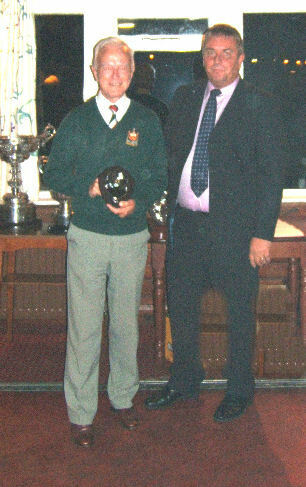 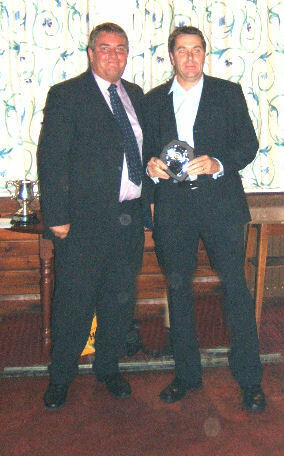 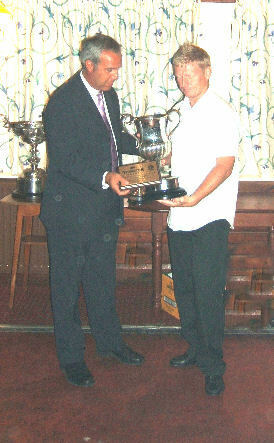 Sponsor Norman Poole presents Terry Hunte of Kendal with his award for the Amateur batsman with the most runs. 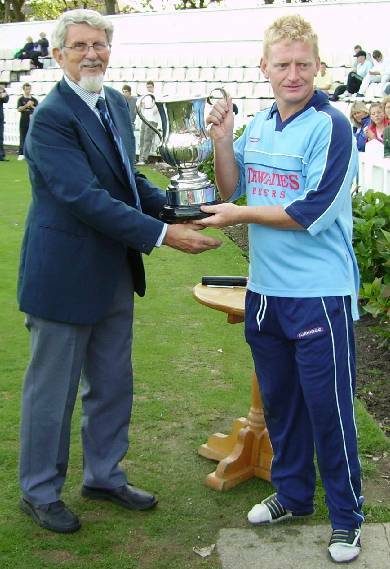 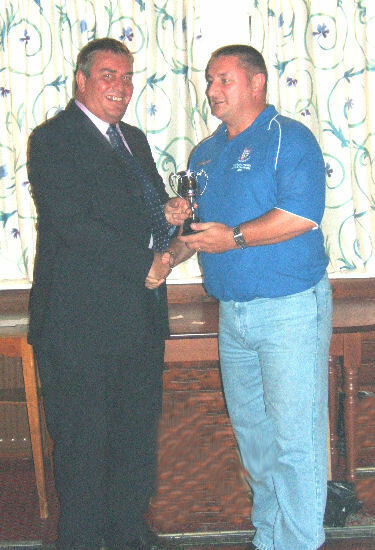 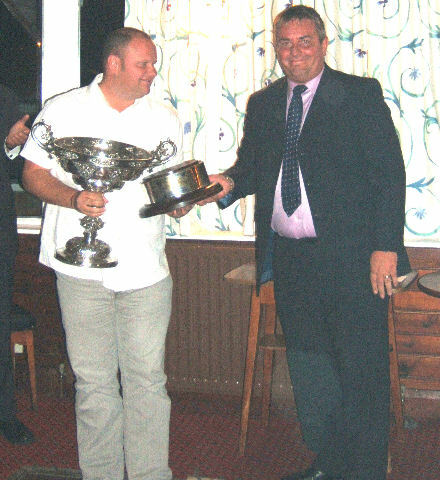 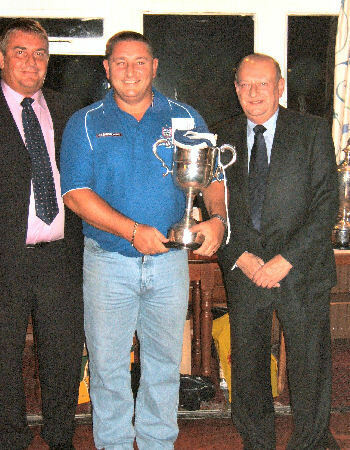 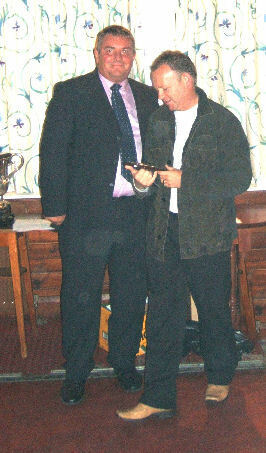 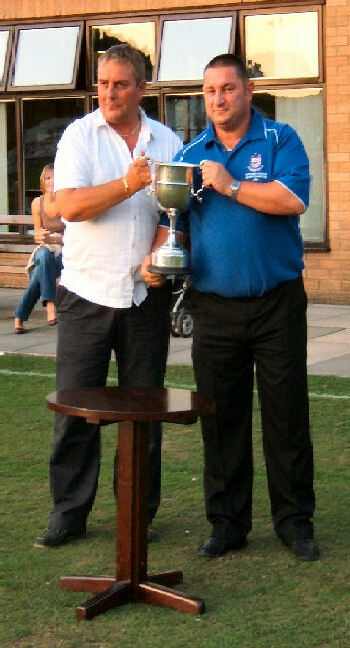 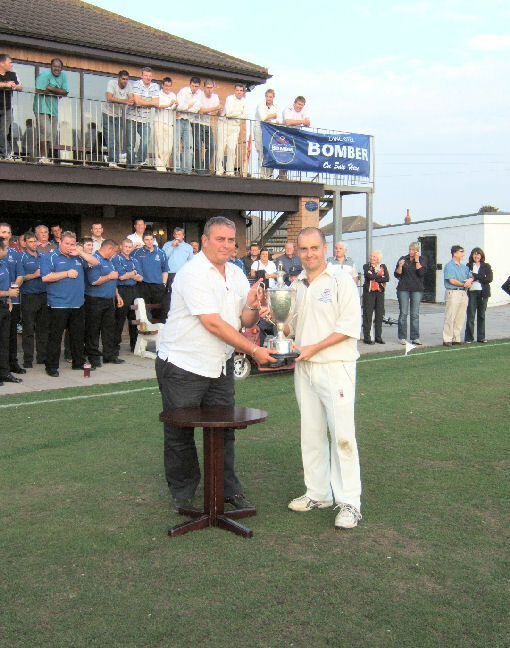 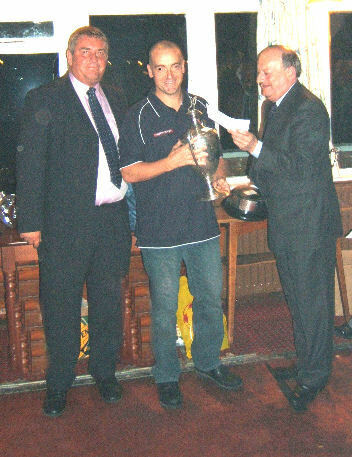 John Cotton presents to Ian Austin of St Annes the 20/20 Runners Up Trophy.